Your time has never been more valuable. You can focus on the areas that matter most to you and that offer the best return on your energy investment. 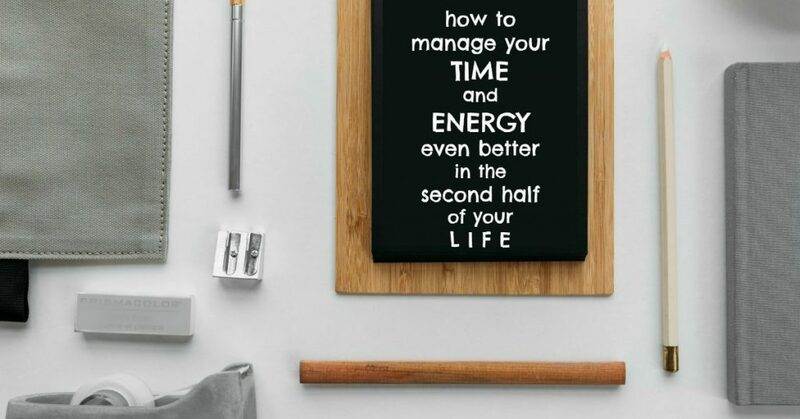 The right time and energy management techniques can improve your self-efficiency after the age of 50 – and help you to get more done in a typical week than you ever thought possible. Our priorities shift after the age of 50. As we mature, we realize more fully that our time on earth during this lifetime is not limitless, and each day matters. 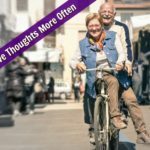 Here are 14 time and energy management techniques to help you become unstoppable during the second half of your lifespan. You might be convinced that you know how you spend our time and energy during a typical day – but do you, really? It’s essential that you sometimes pull back to a higher-altitude view of your life and instead of working “in” your day, you work “on” the day itself, to determine where, when, and how you’re expending your time and energy. Each of us has the same 168 hours in a week. Some of us, however, use those 168 hours more optimally than others. When you’re using your time and energy optimally, it means that each hour counts for more – because it moves you more steadily toward your short-term and long-term goals. It also means that you work so effectively that you can allocate a larger percentage of those 168 toward the activities that you feel passionately about and that bring you joy. There are enough hours in the day to do everything you want to do, you just need a new perspective. The person who is most responsible for taking care of you, is… you. It’s perfectly okay to be fiercely protective of your physical energy. 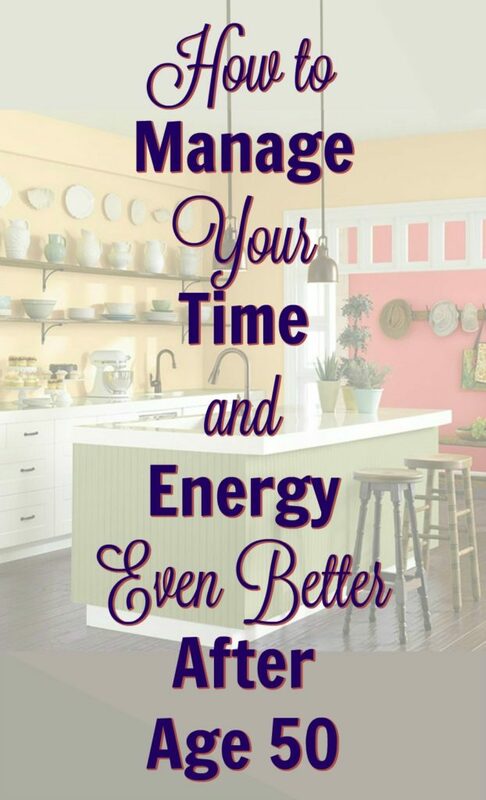 This is a fundamental success strategy and an integral part of time and energy management. Ironically, you will have more to offer the world if you set healthy boundaries and say “no” to things. Sometimes, the tasks you think are most productive are real time-wasters, and conversely, sometimes the tasks you think are the biggest time-wasters are, in fact, extremely productive. Example A: office meetings are generally believed to be a smart use of time, but it has been relentlessly proven that office meetings are usually too expensive and too inefficient. People show up to meetings not having completed their assigned action-steps from the previous meeting (probably because they didn’t take meticulous notes) and meetings tend to have ambiguous objectives. Example B: many busy people do not meditate regularly because they feel like they’re too busy to meditate – that it’s a waste of time and energy. Studies have demonstrated that meditation clears and focuses the mind, increasing mental energy and stamina. People who meditate consistently are better thinkers who are regularly inspired with creative solutions to complex problems. Unless you live in the rural countryside, you must realize that some time-windows are so congested, that there’s little point in even bothering. In many places in Southern California, for example, if you have to be at work at 9 am, you’ll probably have to leave your house at 8am just to make sure you arrive on time. That’s two hours a day sitting in the car just getting to-and-from. Good time and energy management create more free space for fun, which is even more important in the second half of one’s lifespan. Meanwhile, if you were to leave your house at 6 am, it would only take you 20 minutes. So why not go to bed earlier, wake up earlier, drive to the gym right near your office, sneak in a morning workout, and then zip to your office nearby? In the time that you would have been just sitting in traffic, you have now already gotten your exercise out of the way. From a time and energy management perspective, this is a no-brainer. Or, if you need to do the family shopping once a week – it’s going to take 2 hours longer if you try to do it on a Saturday afternoon when the lines are longest and the parking lots are fullest. What if you run errands on your Wednesday lunch hour instead? You’d save at least an hour and a half in one fell swoop. Some aspects of our lives obviously take precedence over other aspects. But in the age of increasing abstraction, we can become so overwhelmed that we lose our ability to see our daily lives in a practical way. The more overwhelmed a person feels, the more every item holding space in his or her mind tends toward equal importance. If picking up your dry-cleaning is on the same list as helping your son with a homework problem – and both are conceptualized as nothing more than tasks that need to be checked-off so that you can move on to the next one – something is amiss. 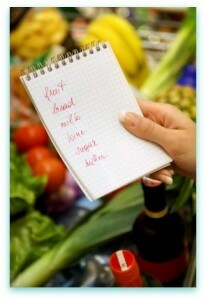 As readers of this site know, I am a huge advocate of checklists. There’s nothing like scratching completed tasks off of your list. But not all tasks are created equal. Often, we have default systems of prioritization that skew our relational lives. As we look at our various task lists, let us remember to periodically step back, step up, and see our lives from a broader perspective. 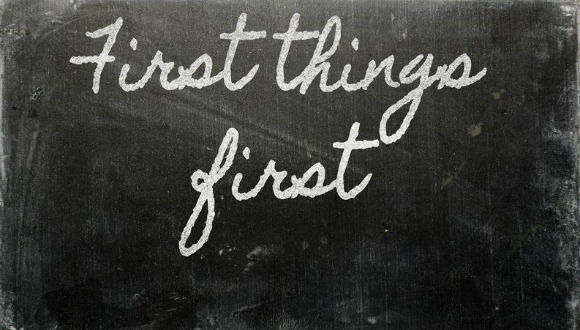 I suggest first establishing your life’s biggest priorities. After that, you can then break it down into smaller categories: this year’s priorities, the season’s priorities, the month’s priorities, the week’s priorities, and – finally – your day’s priorities. Intellectually, we already know that not all tasks are created equal, but sometimes we slip into autopilot and an objective assessment of our lives reflects muddled priorities. Human beings express their spirituality and purpose best in practical, earthly ways. There are other priorities in life beyond these six listed above but start with these six first. They are the fundamentals and to return to them is to refocus on what matters most. Establish your life’s biggest priorities. As an experiment, you can then break it down into smaller categories: this year’s priorities, the season’s priorities, the month’s priorities, the week’s priorities, and – finally – your day’s priorities. Efficiency is like exercise. You’re on a roll for a while, working out every day, then something happens – you get a cold, or have to leave town for a wedding – you miss a couple of workouts and before you know it you’ve fallen off the horse altogether. But you know what? That’s just a natural part of life. It doesn’t mean exercise (or productivity systems for improving your own efficiency) aren’t for you, it simply means that we all fall off the horse occasionally and we just have to find a way to climb back on quickly – without over-thinking it. When you make a to-do list of one-off items, craft it in order of priority. Don’t just look through the list and try to mentally grab which tasks are most important for today. Commit to a prioritized list so that you’re not tempted to waste time and energy on easier or less-important tasks. Spend a minute putting the items in order of priority – look through your notes, (because a list that isn’t prioritized is really just a collection of notes) and number them in order of importance (or, if you use a browser-based, digital list app such as Asana, you can simply slide tasks up and down based on importance). Put a checkbox next to the item if you like. Nothing is more rewarding than ticking a box at the end of completing a task and seeing your list of items get smaller. It’s hugely motivating and definitely pleasurable. Organizing is of life’s most important skills. An essential aspect of organizing is being able to differentiate between tasks that seem important and tasks that will actually have a long-term impact. Imagine a typical day for you. It’s morning and you have arrived at your desk; you know you’ve got your to-do list around here somewhere – oh, there it is – and now: where do you start? The truth is that prioritizing your day is easier – much, much easier – when you follow a couple of basic rules. One smart place to begin is by tackling the task on your list that has been sitting there the longest. 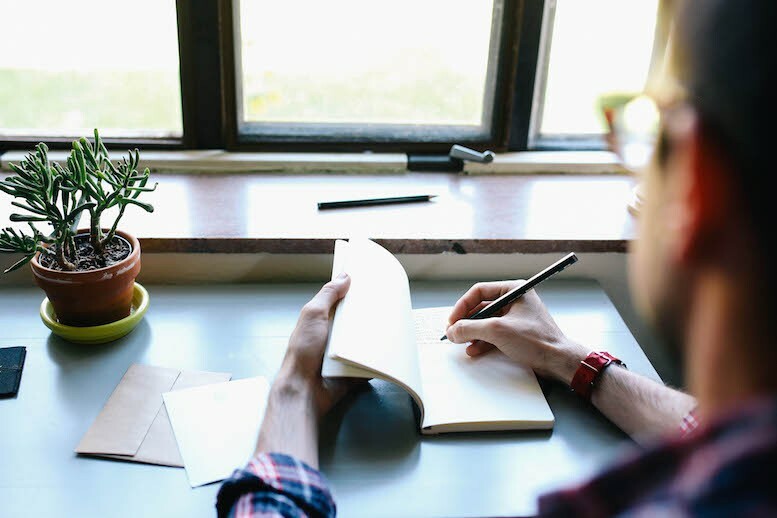 The idea is, that the sense of accomplishment you get from knocking a dusty-old task off your list first thing in the morning, becomes rocket fuel to help propel you through a terrifically productive day. There is another option for kickstarting your day productively, and that is choosing first that single task from your long list that is the most potentially revenue-producing. The reason we have lists is that we have a goal. That goal is usually to succeed, and one of the barometers by which we measure our success is – you guessed it – revenue. I encourage you to take a look at your list through the lens of revenue and start prioritizing your tasks based on what you see. When it comes to our to-do lists, sometimes we can lose focus by working through the list items in the order they were written, or some other arbitrary method, rather than thinking about why they are on the list. By focusing on a revenue-producing activity first, you will remind yourself of one of the primary reasons you arrived at your desk in the first place. Sometimes a list-item will jump out at you as potentially profitable. For instance, sending out an invoice to a client has an obvious dollar amount attached to it, or depositing the check at the bank (hey, don’t laugh; when I help my friends or colleagues get their offices organized, I have discovered more un-cashed checks stuffed in the back of desk drawers than you would possibly believe). However, usually, revenue-producing tasks are not so obvious. Tasks such as sending out a resume, writing a hand-written thank you note, or returning a faulty item to the office supply store – these are potentially revenue-producing activities, too. Basically, any activity that encourages others to refer you clients or customers, is potentially revenue-producing. 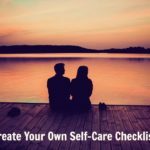 Remember, though, that good self-care and spending quality time with loved-ones are priorities – backburner them at your own risk. 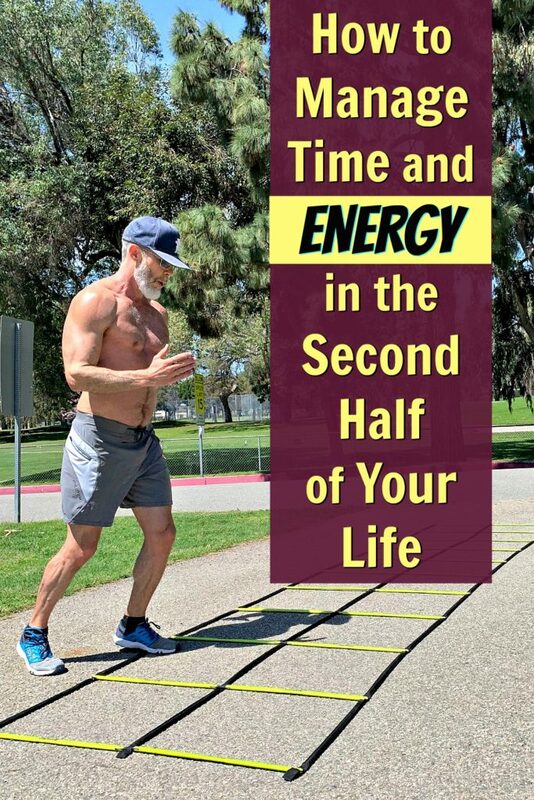 It’s also important to set aside at least a little time and energy for your own enrichment and self-education: every week you can read from a book or article that motivates you or teaches you to optimize your life. Remember, once you have completed that first task in a deliberate, strategic, and conscious way, you will have begun your day with a profitable action step – and this is energizing. Knowing that you’ve already “made it rain” in the morning will give a real boost to your day, and give your working-life more vigor. In time you will notice a sense of satisfaction, achievement and, yes, increased profitability. 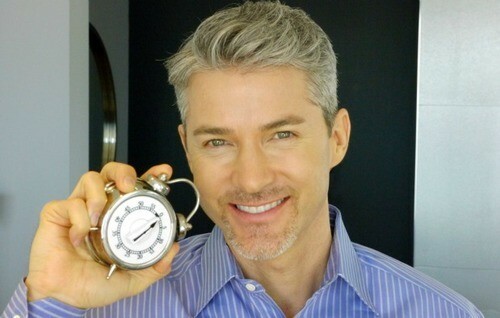 20% of the tasks on your checklist of things-to-do deserve 80% of your energy. It’s called The Pareto Principle (also known as The 80-20 Rule) and is named after an Italian economist Vilfredo Pareto who, in 1906, observed that 20% of the pea pods in his garden contained 80% of the peas. The Pareto Principle feels almost like natural law operating in the universe because it seems to apply to almost all situations. 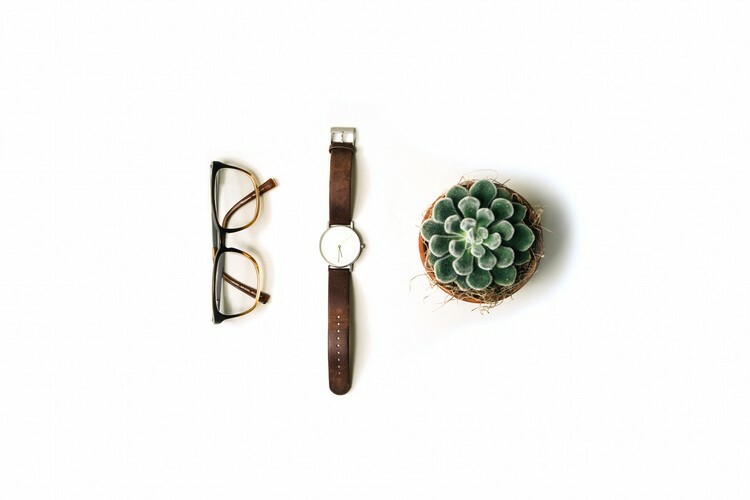 Using the Pareto Principle can help create more free time in your life. Although Pareto couldn’t skip the seeding and watering of the ineffective pea pods and just produce that productive 20%, we can examine how we spend our time and energy. When you look objectively at how you spend your time and energy and pay close attention to your working practices, it’s astounding what you can discover. Look through your task list and examine which of the items on your checklist could augment your prosperity or joy when completed and select those few vital tasks first. This Pareto Principle can be applied to everything in business and pleasure — so take a look at your schedule, your social engagements, your web bookmarks, even your TV (DVRs can fill up at an alarming rate so examine which shows truly entertain you and which you are sticking with just because you want to know if they get off that damn island… ahem, I digress). This will allow you to put greater care and attention into the remaining 20% of tasks. Microsoft applied the Pareto Principle to fixing software bugs on the 20% of features that are most often used. That way they actually sorted out 80% of the bugs people would experience. There are many success principles at play in the universe, but perhaps the least utilized and understood is the 80/20 rule. It’s a simple concept that can be applied to anything in your life; use it to focus your energies where they will have the most positive impact and the largest return. Imagine what you could achieve if you aligned with this principle in both your working and personal life. People either enhance your energy, or they drain it. Period. End of story. Who (of the people in your life) seems to contribute most to your sense of well-being, prosperity or joy? These are the people who should be receiving the bulk of your time and energy. Give to your givers! If you’ve ever – even for a second – fantasized about what your life would look and feel like if you simplified it, then you may want to align with The Pareto Principle. Errands are just not my favorite thing, and yet running errands effectively is essential for a well-organized home and a thriving career. You might find this odd, but I don’t like shopping. Even clothes shopping, gadget buying or farmers markets – the kinds of shopping that most people enjoy – I find to be work. I still go to the farmers market each week and I do my best to enjoy it, but I see it more as a job. 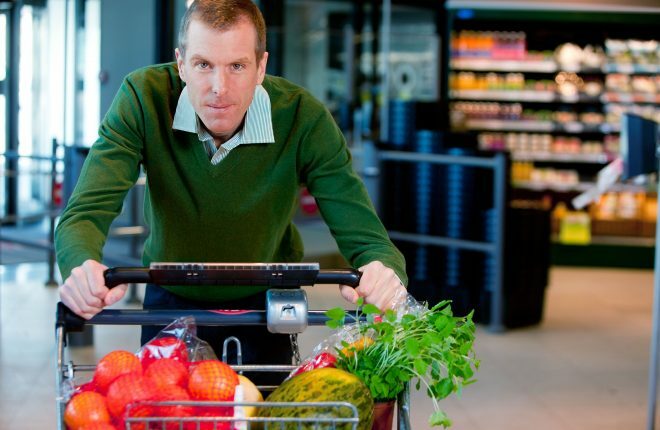 The video below reveals how I run my once-a-week errands more quickly than most other people. Try as I do to enjoy the process of running errands, it’s just not my favorite activity in the world. I like the results, more than the errands themselves. Organizing expert Maria Gracias suggests that one of the best ways to prepare for errands is to call ahead whenever possible. If there is any fraction-of-a-doubt that the item will be there, then phone ahead of time to verify that the item you need is actually in stock or ready to pick up. Also, the best way to make sure that your reusable plastic, paper and/or canvas grocery bags are ready for errands day is to return them to the trunk of your car immediately after you unload your groceries and shopping items. is your water bottle refilled? do you have the addresses of any new places you’re going? do you have all your lists? is your mobile phone with you? I remember as a child coveting Batman’s utility belt. Seemed like that belt – and the tools it carried – got him out of a lot of scrapes and helped his life to work better. Everyone needs a few productivity tools to assist in the noble endeavor of becoming more self-efficient. Your tools might be super high-tech, or they might be as simple as a kitchen timer or a clipboard. What’s important, is that you find tools that work uniquely well for you, and are fun for you to use. The right productivity tools can help you stay organized and efficient. Having tools you enjoy using, will keep you using them time and time again. Here are a couple of examples that might intrigue you. For those of you who attend a lot of meetings in your work, my condolences. The good news is that digital pens help you instantly transcribe whatever you write onto a USB device so you can upload your notes to your computer. With many of today’s digital pens, you don’t need any special paper or an electronic pad – you just clip the USB receiver to the top of your notepad and write away. When you’re finished with your notes you can plug the receiver into your computer and it transfers it to your machine. You then have options to catalog, convert to digital text, or search your transcribed documents. It allows for meeting rooms and lecture halls to go back to a simpler time – when we were without the distraction of laptops. Basically, the pen allows its user to concentrate on participating, which creates a more productive environment for everyone. 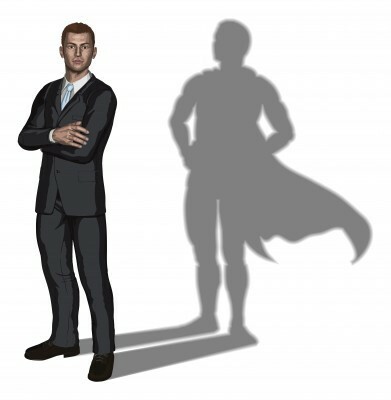 The right productivity tools can help you feel like a superhero. The pen does need to be trained to recognize your handwriting, which may require an investment of time. Another tool can help you keep track of how you’re spending your hours and automatically sums up the time you’re spending on daily tasks. You might be shocked to find how much time you are spending on the day’s various activities – even things like commuting, sleeping or grooming yourself. Perhaps the best time management diaries are the ones that pair-up with your calendar allowing you to see your tasks and appointments together. This may seem nerdy or frivolous, but the fact is that the most successful people periodically take an objective look at where their time is going. They are always fine-tuning their schedules and energy allocation. You can, too. By logging your week’s activities you can see what’s taking too much of your time and take more accountability for fitting in exercise or passion-projects. Using the free my168spreadsheet can help to make you aware of how much time you spend on each activity and allow you to see more clearly what is the best use of your time (creator Laura Vanderkam also has a book called 168 hours on freeing up your schedule). Among those four habits, the one least utilized and understood is strategic planning. Many employees, managers, executives, and entrepreneurs don’t invest time in learning how to improve their personal productivity because they fear too much time will be “wasted” on it. They believe themselves to be too busy working in their business to work on their business. What they fail to understand is that for every minute spent smartly planning, they will save four minutes down the road. That’s a very worthwhile return on investment. One of the qualities that set successful executives apart from those who perform more poorly, is the high performer’s innate understanding that both physical energy and hours are finite resources. 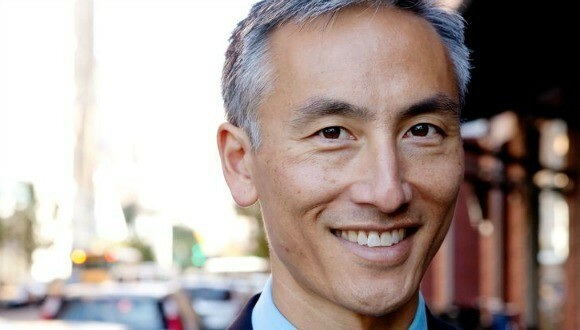 The most brilliant executives use checklists, so why doesn’t everyone else use them? People hate being told what to do – that’s probably the primary reason that most people don’t use checklists consistently, even though checklists make life easier and more enjoyable. 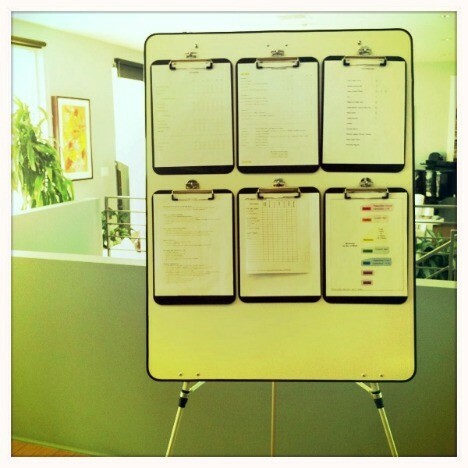 The genius of checklists is that, when properly structured, they help us better manage our time and energy. And no one likes to hear the word should. Particularly in the US, we like to pretend that we’re all going to live to be 130 years old and that we can just take each day as it comes. It’s nice when you can enjoy a serene mind and be present fully in each moment, but the reality is that most people are not serene or fully present. Most people are just reacting to their day, putting out fires and drifting away from their primary intention. Our souls might be timeless, but this particular life you’re living on earth is quite limited. In fact, you can get a calculator and based on your parents’ age, your lifestyle habits, and location you can estimate how much time you have left. From that number, you can also deduct hours that must be allotted for sleep …and you’ll see the number gets much smaller. Hopefully, this realization incentivizes you to see time as your most valuable resource. Another trick that might incentivize you, is to pretend that time is only allocated in 15-minute chunks. 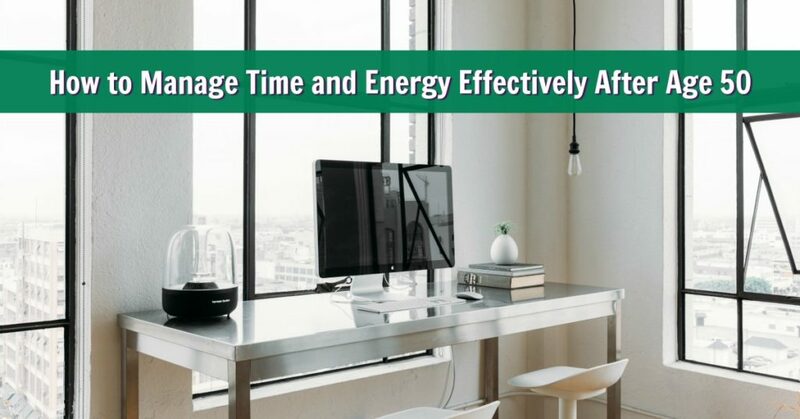 I’ve been deeply interested in time and energy management for many years, and I’ve been able to notice that many tasks and activities take 15 minutes. A lot of activities that we think take 5-minutes actually take 15 when you factor in everything. Of course, some tasks do take more time and some take less, but 15-minutes seems to be the average for most people (especially for habitual, daily tasks). When you divide the remaining years of your life (minus sleep) into 15-minute windows, you will understand even more deeply what a precious resource time really is. Choose your 15-minute windows carefully. Not only do we have limited time each day, but we have limited energy. Be they important or mundane, our brains can only make so many choices each day. This is why – if you truly want to live a self-actualized life in which you achieve your full potential as a human being – it’s a good idea to have a system for negotiating the unnatural chaos of modern daily life. Whatever checklist system you use, I encourage you to find one and utilize it. Checklists are life-improving. If you approach them with the right attitude, checklists will help you to create extra space for more joy and prosperity to enter your life. What’s funny about our internal response to checklists is that it’s a complete projection of our own anxieties onto a friendly tool – a tool that’s only there to help us. For this reason, it’s extremely helpful to have a sense of humor when using checklists. Checklists can help us stay on track with projects, preventing the day from drifting away from us. Checklists help us get more done, faster so that we can spend more quality time with our loved-ones. In order to improve your self-care and increase your health protocols, you have to find the time and energy for it and find the schedule that works best for you. Checklists also create more free time at the end of the week so that we can spend time pursuing our hobbies, and those activities for which we feel passion. Checklists help us to excel professionally, making us more competitive in our careers and more appealing to our clients and customers (generally, people feel as though they’re in good hands when they engage with someone who is cheerful, organized and highly productive). It’s just human nature – our unconscious is able to detect these abilities in other people and we are drawn toward that. In this digital age a world of distraction is at your fingertips, and it can be difficult to remain focused on a task or project. Your friends’ status updates – always just a click away – can provide a tempting diversion from your important work. But social media is often the least of your dangers. With phone calls, inefficient meetings, and people walking past your desk, there is a limitless menu of potential distractions to impede your momentum. The Pomodoro Technique can help prevent other people’s unintended efforts at derailing your own productivity. It is a simple system that uses a timer. At this point we hopefully all know that multi-tasking is a myth. What multi-tasking really means is that you’re doing several things at once less effectively. It’s almost always better to focus your efforts like a laser, for short bursts of concentrated effort. Everybody has a productivity system, whether they know it or not. For most people, their system is to have no system, to run their day by the seat-of-their-pants. How you block your time and energy, schedule your time and energy, prioritize your time and energy, and look objectively at your time and energy: is a success fundamental. In other words, how you work with time and energy determines whether or not you have a foundation solid enough on which to build outrageous success. The Pomodoro Technique can help you strengthen your focus – with just a kitchen timer, a sheet of paper, and a pencil – or, alternatively, a basic smartphone app. The first step of Pomodoro is pretty standard to all productivity systems: you write up a checklist of the tasks you want to get done, then prioritize which items you want to complete by placing them at the top of the list. The second step of Pomodoro, however, is where things get really interesting: you set the kitchen timer to 25 minutes and spend that time concentrating on your task. You do nothing else but this task until the timer rings. When the timer rings, check off your task on the list – and reward yourself with a 5-minute break. For tasks that take more than one Pomodoro, just keep making a checkmark on the paper for every 25-minute interval (be sure to take those 5-minute breaks between each) until the task is complete. This will help you track and process how long things take. Dane Findley uses both digital and manual timers throughout a typical day. When you answer those questions, you’ll probably realize that it’s a good idea to re-evaluate your system of personal productivity. 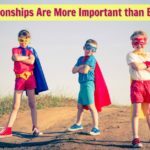 Every person over the age of 11 would benefit by having a productivity system that they use to help themselves become (continually) better organized. Preferably, that system should be as simple and effective as possible. The Pomodoro technique was developed by Francesco Cirillo in the 1980s while he was a university student. He named the technique after the tomato-shaped kitchen timer he had when he first developed the system (a fun explanation of Pomodoro is Steffan Noteberg’s Pomodoro Illustrated, which boils the technique down into its simplest parts with cheerful illustrations that are particularly helpful for web developers). The kitchen timer is a great lo-fi way to cut down on interruptions (although the technically minded might enjoy using a phone app). Every four Pomodoro sessions, you can take a longer break. Maybe get some fresh air, grab a green juice smoothie, or post a tweet celebrating your productivity. Deadlines are unfortunately named. “Deadline” sounds oppressive and foreboding. Nonetheless, deadlines are important, especially for projects that require a series of related tasks. When you are managing your own time and energy it can be hard to stay self-motivated enough to push on through. We all want to be nice to ourselves and give ourselves a break from restrictions like a deadline, but a deadline is actually very healthy. Remember, a project is always sexiest in its beginning phases. Many people lose interest during the last 20% of a project. That’s when people lose their momentum and urgency, they take too long to complete the simplest of tasks; they stop checking their own work and things fall through the cracks. Excellence means: keep your momentum going until the very, very, very end. Put your list, or at least your priority items, in an unavoidable place. Give it top billing. Make it the star of the show. Shine the spotlight on it! Your own personal productivity system can be paper-and-clipboard, a smartphone app, or whatever works best for you. Use desktop files or a phone reminder. Or print out your list on your desk. Anything short of a tattoo on your forehead, as long as it helps give your list the energy and attention it deserves. This is going too far for most of you, but I actually created a special easel for my clipboards (see photo) that I keep right next to my standing desk so that all I have to do throughout the day is glance up and see everything I need – proudly and accurately displayed. It really helps me to stay on track. For those of you who spend much of your time in the car or traveling from appointment to appointment, you’d probably be better off with a smartphone application, such as Asana. The law of attraction shows us that what we give our time and energy, attention and focus to, is eventually amplified. By celebrating your successes and making a fuss over your own accomplishments, The Universe will be compelled to send you more successes. So reward yourself. Too many people can be hard on themselves and choose the stick over the carrot. If there’s a small, useful item that you want to buy, a restaurant you want to visit, or a new theatrical or speaking event in town, then make it a reward for completing your priority tasks, or finishing that project or getting that bonus. At the very least, take a moment to pause, close your eyes and breathe, and really be present in the accomplishment and the feeling that accomplishment provides. We are part of a global civilization that is becoming exponentially more complex. It does often seem as though our culture gets more harried with each passing year – with many people feeling frazzled, sleep-deprived, and disorganized. The addition of virtual reality into our everyday lives has spread us even thinner. We are acquainted with more people than ever before. We can, and do, have instantaneous communication with people living 12,000 miles away. As civilization increases in complexity, our daily lives – both real and virtual – respond by also becoming more complex. It sounds like the plot of a science fiction film. In reality, it’s just a fact of capitalism in the digital age. Companies are competing for the psychic space of individuals. And it’s not just corporations competing for your attention; facebooking, searching, emailing, and texting is inundating us on equally staggering curves. The implications down the road are a giant question mark. The rate of information doubling simply renders prediction – an act based on extrapolation of current norms – impossible. 1 A.D.: From this point forward, the first doubling of all available information did not occur until 1500 A.D.
By 1982, the rate was every 3 years. Today, it would be rather conservative to estimate that we experience more change in a year than was previously experienced in a millennium. Historically, information doubling is the stuff that shifts paradigms (it’s an interesting exercise to look at the above dates and match up the corresponding historical shifts). “Winning the day” means getting enough of the right tasks completed so that, at the end of the day, you fall asleep with a deeply satisfying feeling of accomplishment.